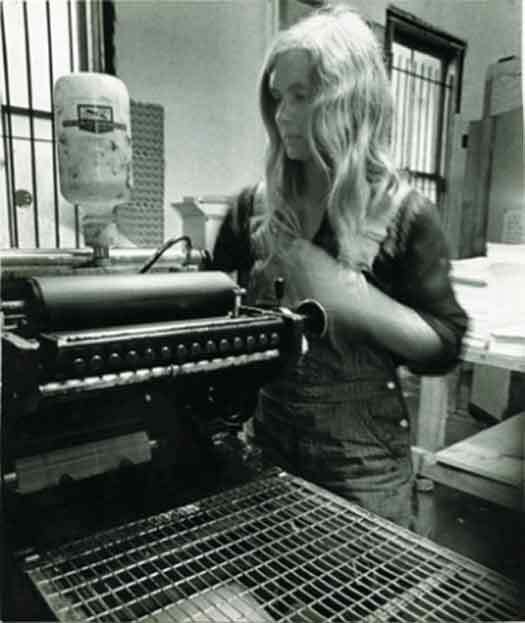 “Red All Over: Political and Countercultural Printshops of the S.F. Bay Area.” Every movement needs a voice, and ever since Gutenberg systematized the concept of movable type radicals have put ink to paper to create multiples of inflammatory documents. Come and learn more about the discontents, troublemakers, poets, organizers, and visionaries who set up shop in the S.F. Bay Area from the 1960s to present. Presented by the Marjorie G. and Carl W. Stern Book Arts & Special Collections Center of the San Francisco Public Library and the American Printing History Association’s NorCal Chapter.